To discuss partnering opportunities and collaborative research, contact Ashley Hullinger. 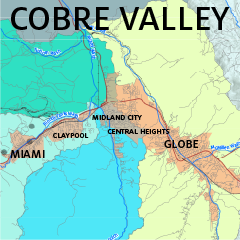 The Second Cobre Valley Water Forum will be held on April 9 at the Gila County Fairgounds. Register today! 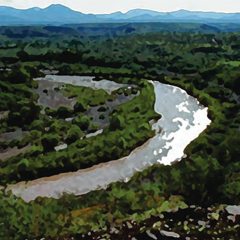 A Landowner's Guide to the Upper Gila River is now available for download. This helpful resource provides quick answers to common (but complex) questions landowners might have about their land along the Upper Gila River. The Desert Flows Database is expanded and improved with a fresh interface that makes querying data even easier. A 45-minute webinar on how to use the database is available via the Desert LCC YouTube channel. An innovative approach to conserving water and building community by transferring the value of your water savings to local projects. 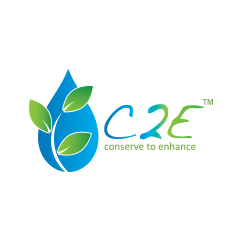 Conserve2EnhanceTM (C2E) developed an online Dashboard to make your drops count! In collaboration with Desert Landscape Conservation Cooperative (LCC) and Northern Arizona University (NAU), this project has developed a tool that will enable more resilient and effective management of riparian and aquatic systems throughout the deserts of the United States and Mexico. The Upper Gila River is one of the last stretches of free-flowing river in the American West. 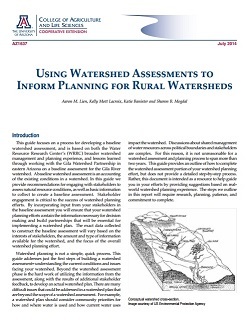 Through stakeholder engagement, watershed assessment and scenario planning, the WRRC is working to assist local water planning efforts to ensure adequate supply for all water using sectors. With Gila County Cooperative Extension and US Bureau of Reclamation, we are exploring opportunities for residents, non-profits, and local government to raise public awareness and balance their water supply and infrastructure with current and future demands. Roadmap for Considering Water for Arizona's Natural Areas: The Roadmap contains information on the current scientific understanding of water for natural areas and existing legal considerations for providing water to natural areas, examples of where natural areas are already included in water management decisions, and an overview of available paths forward for including natural areas alongside human uses. Sustainable Clarkdale: The town of Clarkdale, Arizona is working to become a sustainable community. The Water RAPIDS team assisted the town to develop a model water resource management program that will reduce per capita water consumption to sustainable levels in order to protect the Verde River. The end goal of this project was to balance water consumption and supply by exploring benefits and consequences of management options, the policies and outreach required to initiate a public engagement process, and an information campaign to build support from citizens for the Sustainable Clarkdale initiative. 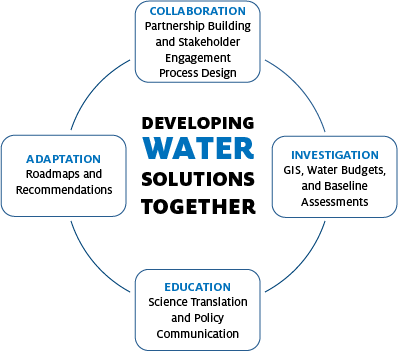 In 2014 the WRRC lead a Water Experts Meeting in February and a Small Town Water Management Forum in June. In advance of the Water Experts Meeting a Water Primer for the Town of Clarkdale was prepared to introduce the invited experts to the geography and hydrologic conditions of Clarkdale, as well as the current water management challenges and potential solutions identified by the Town. 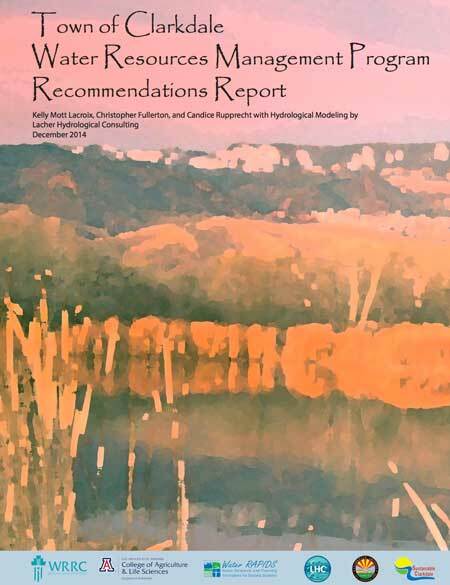 This report summarizes the six principal recommendations for developing a water management program for the Town of Clarkdale, Arizona In addition to the six recommendations, multiple water management options are reviewed, which may be of interest to others concerned about sustainable municipal water management.